Here, we'll focus on two crafts surrounding the jungle theme for preschoolers. These preschool jungle crafts will be easy for preschool children and they will help the students learn about the everything exciting in the jungle. Imagine stepping into the greenest and lushest of jungles with the earth beneath your feet. Imagine the cracking of leaves under the weight of your body, all while you slowly step inside the jungle home of some of the most beautiful animals in the world. You are greeted by the calls of the wild jungle. You might hear the shout of an exotic bird or the cries of some playful monkeys nearby. The excitement from your visit to this jungle home causes your heart to beat wildly. You walk very slowly and carefully as you enter deeper and deeper into this jungle scenery. If this sounds exciting to you, hopefully your class will think so too. The pretend jungle will make a great stage set for their imagination. In these crafts and activities, your class will experience the mystery of what is known as the jungle. Materials: You will need construction paper, glue, paper plates, markers, yellow paint, scissors, and craft sticks. Instructions: Help the children paint the paper plates yellow and let them dry. Cut out eyes for the lion's face. Cut out ears from the construction paper. Cut three strips that are at least two inches long and one-half inch wide. Cut strips on one side of the strips for the lion's face and mane. Glue the ears to the paper plate. Glue the other strips around the edges of the paper plate from the back. Draw the face and whiskers on the face of the lion. Glue the stick to the back of the mask. 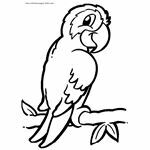 Paper Mache Parrot - NOTE: You will need to print a template of a parrot for this project (find a free one below in the references section). Materials: Gather very colorful tissue paper or party streamers and tear them into one-inch round pieces. You will need glue and crayons for this project. 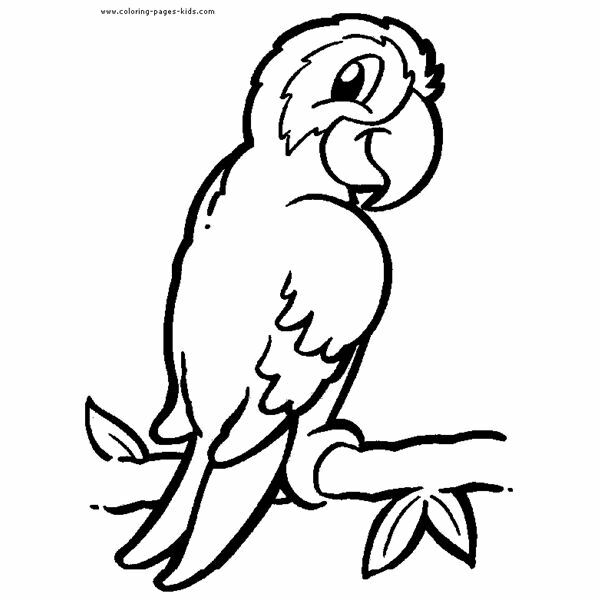 Instructions: Color the birds eyes, feet, and branch with crayons. Glue the torn pieces of party streamers to the bird. Make sure that you only glue one half of the torn streamer. Leave part of it hanging so that it will give the bird a feathering look. Layer the streamers in different colors for different parts on the bird until complete. These projects should be very fun for the preschoolers as they learn a little more about jungle life. Optional: While you are working on these projects, you can play a CD that has the jungle sounds and talk about what animals may be making the noises they hear. Have fun with your preschoolers while you work on these preschool jungle crafts during a preschool safari theme.